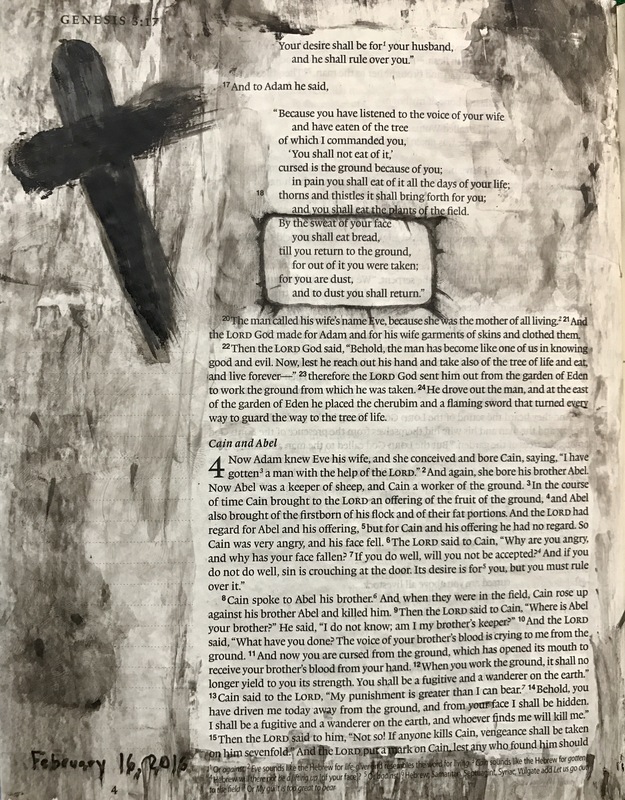 This page is inspired by Ash Wednesday, and the cross so many of us get on our forehead. Our earthly life will end one day. This earthly life contains pain and loss. However, there is another eternal life waiting for us, a life free from pain, a life made possible through the cross! This page was made with black acrylic paint and a black micron pen. The cross was painted on with my finger.